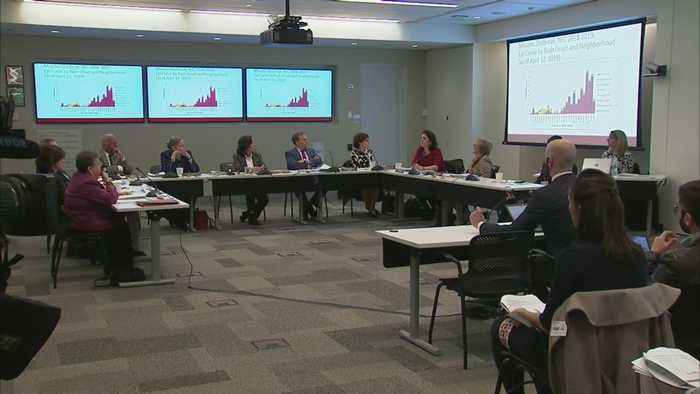 The New York City Board of Health meets to discuss the ongoing measles outbreak. 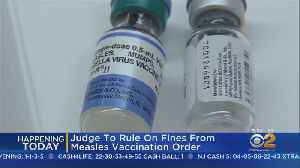 A judge is expected to rule today on whether to continue, lower or do away with the $1,000 fine the city wants to impose as part of its measles vaccination order in some neighborhoods. 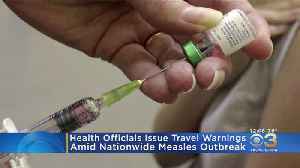 A man dubbed "Patient Zero," who spread measles to Oakland County, Michigan, was a traveler from Israel who came via New York, according to state health officials. 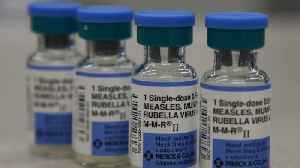 There have reported 39 measles..
Rockland County, New York, has issued new orders that force anyone with measles to stay home for up to 21 days in order to curb the virus&apos; spread. 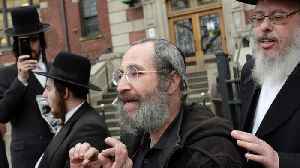 Rockland County, New York, has issued new orders that force anyone with measles to stay home for up to 21 days in order to curb the virus' spread. 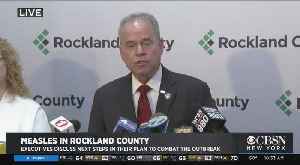 Rockland County executive and health commissioner announce their next steps in the fight to contain the measles outbreak that's infected at least 186 people in the county. 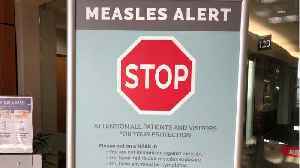 The number of confirmed cases of measles in the United States this year jumped by nearly 20% in the week ended April 11th, 2019. 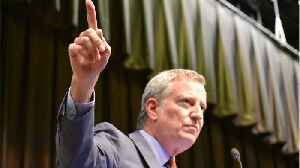 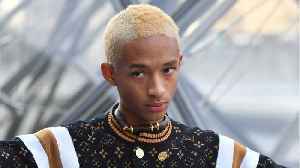 Federal health officials say it's the country’s second-worst outbreak..